Newbie here both to the forum and to gardening. I have recently moved house and for the first time i have a lawn. (5mx20m). The lawn looks ok from the kitchen window (fairly even colour and no major bare spots) but upon close inspection is full of moss and thatch. So, after a bit of research and consultation I have come up with this plan of action. Wait a good while, mow high and gradually reduce height. My question is this. IÃ¢â‚¬â„¢m not very sure how to overseed. There is a good bit of conflicting information out there and im scared of putting down too much seed (causing disease) or too little (causing a bare lawn). I believe the best way to do it would be to make a seed Ã¢â‚¬â€œ topsoil/sharp sand mix and spread that but not being an accomplished gardener Im not sure how to do this and dobbies from what I can see only sell Seed, not a pre-ready mix for overseeding. Can anyone advise me on the best way to overseed my lawn after I have scarified it. 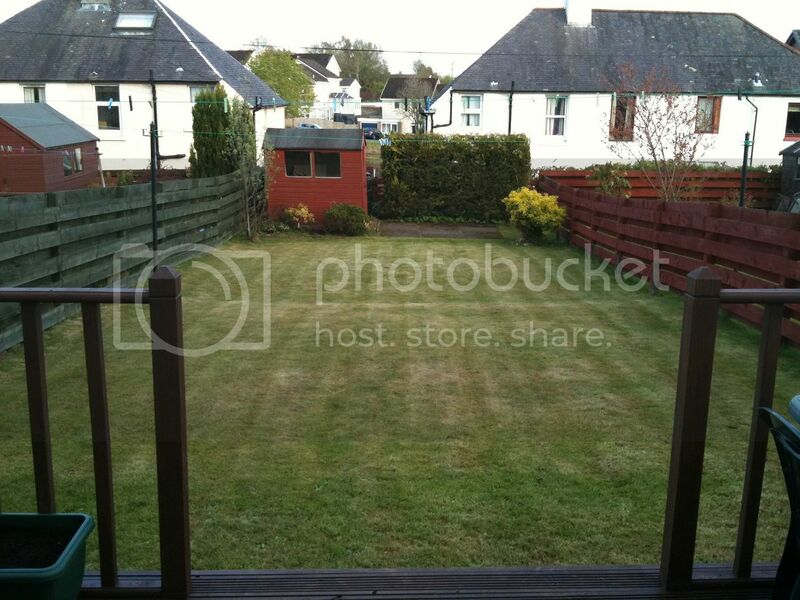 I have included a picture of the lawn in question. Check the PH and if it is a bit acidic add lime, moss loves acidic soil. Or, use black earth wich is a little more acidic.